Today was one of those normal Saturday’s: busy and relaxing. How is that dichotomy even possible? Well, I got to sleep in, make a delicious pot of coffee, make a simple (but thrillingly received) breakfast for my family, do a little Christmas tree decorating, hug a friend and my mom, go to an event sponsored by my church to shop for a family we are sponsoring, & take my boys out to dinner & shopping (yes that was good). The coffee and waffles I made were so delicious and while we ate in shifts, we all got a chance to talk and enjoy each others company. That is such a wonderful way to start a weekend (or any) morning. Especially since my boys are growing up and going to be moving on soon enough. 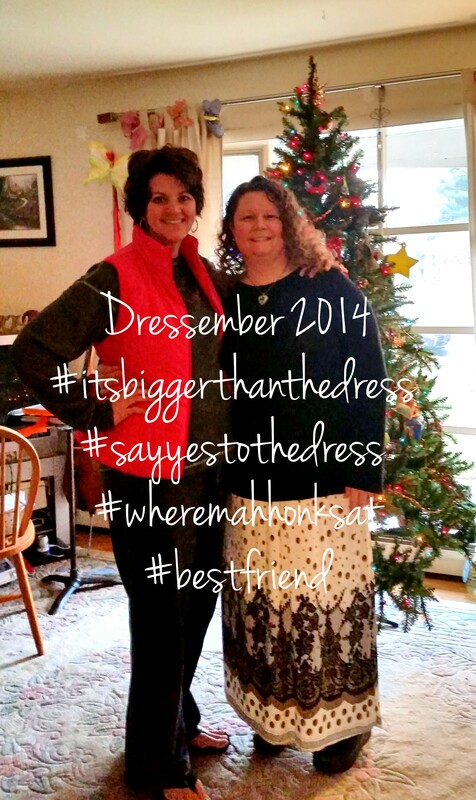 So the sharing commenced about IJM, Dressember, & my fundraising campaign. How wonderful that was for me to share with them about this little thing I could do that could impact so many people around the world. And to up the ante on my day, my mom came over to tell me about her recent vacation and again to give me a hug. Man, I love my village! I got home tonight from being out of the house for about 9 hours. That, in and of, itself should be exhausting. If I could add more fuel to the fire and complain about it a little it would be this: I drove for 3 hours of that 9 (and I may be underwhelming that number a bit), it rained the whole time, I was driving the 95 corridor (for those of you who do not live in this area it is the main thoroughfare for the mid-atlantic states), & I had two boys in the car with me. However, I will not complain beyond what I typed above. My boys were perfect in the car. My eldest kept good music playing in the cd player (yes, I am that person) & conversation going and my youngest in the back quietly played his video game. The rain, while tiresome, is also a comfort (and brings flowers in the spring) and makes me drive slower on the highway. The shopping I was doing was pleasant shopping for others (and a tree topper for my family). While I was shopping my boys were in guitar center (they are both amazing musicians!) “shopping” for themselves. It is nice to have confident young men who can take care of themselves while “maaaahhhhm” (what they have chosen to call me) shops. All of this in a dress; an outfit I would not normally choose to wear on a rainy cold Saturday. Thinking all the time about how I was wearing a dress. Walking around, sitting in Five Guys, riding in the car, all these things are “better done” in pants. But today, I was oddly comfortable in a dress. As I shopped, I thought about all the people I was doing this for. I know my impact in the grand scheme is minuscule but if I am able to help one then I have done enough. As I said in my first blog, one starfish! But maybe it isn’t even helping that one so far away in the bonds of slavery, maybe it is helping a student, friend, co-worker, or random person in Starbucks find worth in themselves. Maybe finally noticing the worth in myself will help others see the what they are worth as well.